Fig. 4. 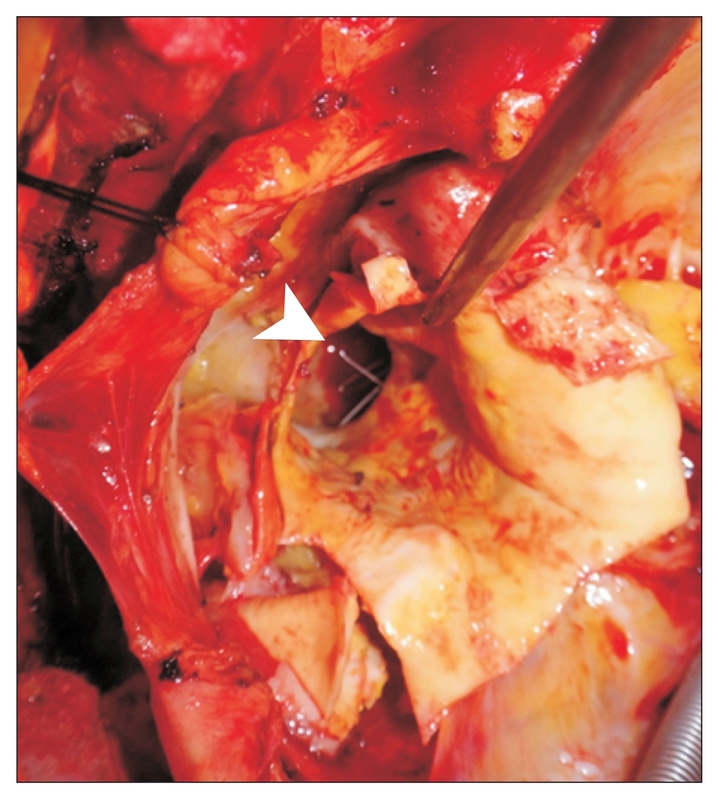 Perioperative findings showing fracture of the bare spring of the previously deployed endograft and multiple erosions in the aortic intima, resulting in retrograde type A aortic dissection. White arrowhead indicates the protruding fractured bare spring.